Many people are discovering that adopting a gluten-free diet can make them feel much happier and healthier. While some people must adhere to a gluten-free diet due to Celiac disease, others have a gluten sensitivity or gluten intolerance and may suffer from uncomfortable digestive problems after eating foods that contain gluten. 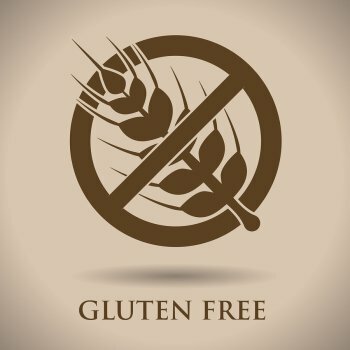 Here are a few of the many rewards and benefits to eating gluten-free in San Jose , particularly for those who have determined that the consumption of gluten causes them to develop health problems. If you suffer from Celiac disease , you may suffer from digestive problems, severe skin rashes, pain in your muscles and bones, ulcers, growth problems, menstrual problems, and even seizures. Continued consumption of gluten can increase your risk of developing osteoporosis, cancer, arthritis, diabetes, and thyroid problems. It can also be a contributing factor in birth defects, miscarriages, and infertility issues. Those who are gluten intolerant or gluten sensitive may have digestive problems, such as abdominal cramps, excessive flatulence, diarrhea, and bloating. Adopting a gluten-free diet will alleviate and eliminate these symptoms. While a gluten-free diet isn’t guaranteed to help you lose weight, you may notice that you’re shedding pounds simply because you have fewer opportunities to snack or eat impulsively. You’ll be more mindful of what you’re eating, as gluten is found in a number of processed foods that aren’t particularly healthy. This mindfulness will encourage you to think before you snack; as a result, you’re likely to consume fewer calories. You’ll also be more likely to eat healthy fruits and vegetables when you do need a snack. You can still enjoy your favorite foods, as many are available in gluten-free forms, such as gluten-free pizza. The digestive problems that often accompany Celiac disease, gluten sensitivity, and gluten intolerance, can include malnutrition as a result of your body’s malabsorption of necessary vitamins and minerals. Lack of proper nutrients can make you feel fatigued and lethargic. Once you begin eating gluten-free, you’ll notice an increase in your energy.